In Rainbow Rowell’s Fangirl, Cath is a Simon Snow fan. Okay, the whole world is a Simon Snow fan, but for Cath, being a fan is her life–and she’s really good at it. She and her twin sister, Wren, ensconced themselves in the Simon Snow series when they were just kids; it’s what got them through their mother leaving. This is going to be a very gushing review. I am going to use a lot of adjectives and even some all caps. So yeah, you need to read this book as soon as you can. If you didn’t read Harry Potter, but like great coming-of-age stories about family, college, love, learning who you are, and everything that goes with that, go get this book because it is really wonderful. If you were a Harry Potter fan, the kind that had all the books the day they came out, went to midnight release parties, talked about it to your friends, get this book. If you were a Harry Potter fan and did all of the things above and also made Potter friends online, listened to podcasts, read fan fiction, listened to wizard rock, dressed up, went to conferences and all that…stop reading this post and go buy this book RIGHT NOW. But like I said before, you don’t have to love, like, or even have read Harry Potter to love this book because Rainbow Rowell just gets people. I think anyone no matter what can connect and enjoy this. Yet most of this review will talk about reading it as a Harry Potter fan because that is how I related to this book. As the second type of Harry Potter fan, this book got me right there is the FEELS. The series that Cath loves is not Harry Potter, but it is similar and she grew up with it. The final Harry Potter book came out the summer after my sophomore year of college, so I could totally relate to her. So many of my friends were online and, while almost all of my classmates read the books, many of them weren’t as into it as I was so I felt like I had to hide how much I loved it. Cath is even more awesome than I was because she writes the most popular fan fiction out there. And the fan fiction is SO GOOD! I loved how Rainbow Rowell made up this story and had “excerpts” from both the “original book” and Cath’s fan fiction. It showed so much creativity and was some of the best writing I have seen. I would say just read this book for that, but you should read this book for EVERYTHING. Cath’s family life also gets to you. She is a twin and watching her sister spiral broke me. I felt what Cath felt from her anxiety because she is shy and awkward around new people to her loneliness and fear for her sister. Their dad has mental problems and I thought it was handled so well. Rowell gives a very clear and accurate depiction of a mental illness and really showed how it can change your children. Cath was constantly worried and it added so much to her character. At first, it was hard to get her, but as you learned more about her family, it made a lot of sense, just like in real life. There is also a love story here and it isn’t your typical romance in a book because it is even better. The love story/stories aren’t Cath’s WHOLE life. It is just a part of it and I loved that. People, especially people going through huge changes like going to college, have so much going on in their lives and I feel like sometimes book focus too heavily on the romance side. But not here! It felt so real and genuine and that made be get all swoony. Be prepared to be a puddle of tears at the end of this book! I literally was SOBBING when it was done. But it was so good that it was worth it. This book will stick with you so much. 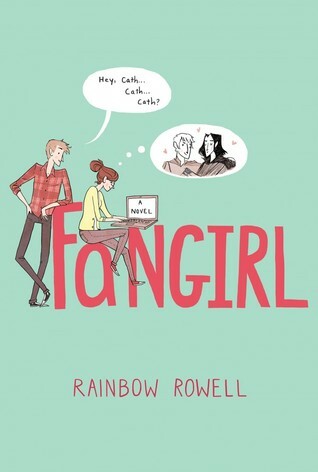 Rainbow Rowell is amazing and she GETS us Fangirls (and Fanboys). This book made me love her even more and made me want to be her friend. .
Love love LOVE it and if you are a Harry Potter fan or are one of my Harry Potter friends, you must buy this book now. Four generations. Four girls. One family.An amazing new four-book series from Ann M. Martin.In 1930, Abby Nichols is eight, and can’t imagine what her future holds. The best things today would be having a dime for the fair, keeping her Pops from being angry, and saving up eighty-seven cents to surprise her little sister with a tea set for Christmas.But Abby’s world is changing fast. Soon there will be new siblings to take care of, a new house to move into, and new friends to meet. But there will also be good-byes to say and hard choices to make. As Abby grows older, how will she decide what sort of life will fit her best? I always say that i want more historical fiction and young adult and middle grade. This book is a wonderful middle grade historical book and is the first in a series and multiple generations of the same family. And yes, it is THAT Ann M Martin. I loved the history in this book. It feels like you were dropped into 1930s America in both the good ways and the bad. The highlight of the summer is the fair coming into town. But every interaction with friends shows the father’s prejudice against the Irish or the Catholics, or anyone that wasn’t him. It was at times difficult to read about those prejudices, but we need to remember where we came from and learn from it. Abby is a smart, headstrong young woman and readers will connect with her. She deals with so many things that girls still deal with today: school, making new friends, loss, and family. I found myself getting very emotional as I read this story. I loved that in the end she took a path that was best for her, but did so in a way that didn’t say that any other paths were bad. This is a wonderfully written book and I am excited to read the rest of the series about the women in future generations of this family. If you are looking for a book with a strong female character that will be a good role model, this is a great choice! This is a fun start to a new series! The main character is great, the concept is new and fresh, and than evil plan is dastardly. Middle grade readers will love this fast-paced book about mind-control and saving the day. Jackson is a cool character, but sometimes a little annoying and clueless. Part of that problem is that I knew too much of what was going on based on the title of the book. While he is trying to figure out what he can do and what the institute does, the reader already knows. It makes the first part of the book drag. I loved how high the stakes were in this book. It wasn’t just Jackson at risk, it was his friends, family, and the entire US population. In order to save them all, Jackson must be more clever than one of the top minds in the entire country. This is a fast middle-grade read and I think reluctant readers would enjoy it a lot. 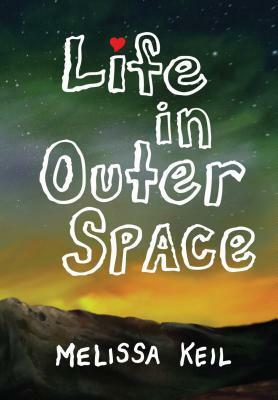 Life in Outer Space is a romantic comedy about a movie geek & the dream girl he refuses to fall in love with. Sam Kinnison is a geek, and he’s totally fine with that. He has his horror movies, his nerdy friends, World of Warcraft – and until Princess Leia turns up in his bedroom, worry about girls he won’t. Then Camilla Carter arrives on the scene. She’s beautiful, friendly and completely irrelevant to his plan. Sam is determined to ignore her, except that Camilla has a plan of her own – and he seems to be a part of it! Sam believes that everything he needs to know he can learn from the movies. But perhaps he’s been watching the wrong ones. If you are geeky/nerdy at all or appreciate things that are, you need to stop what you are doing and go buy this book. It felt like this book was made for me and all my friends, only that characters are Australian. It was sweet and funny. I loved all the references to science fiction and fantasy pop culture. Did I miss some (or maybe even a lot) of it? Yes, but it didn’t take away from the awesomeness of this book. It also gave me a list of movies I wanted to watch or rewatch! I loved Sam and his friends. They are strange, but they are all really awesome. Sometimes, you want to sit Sam down and explain how life is, but he is a good guy with so many great qualities. Adrian had me cracking up, I wanted to be friends with Alison, and was intrigued by Mike and saw how he was a great friend. They all felt so realistic, I kept thinking they would show up at my house for a game of Dominion. And Camilla Carter. She is what I wish I was like in high school. She is confident, funny, and totally okay with who she is. She fits into every group. She isn’t flawless but her flaws and insecurities make her that much better. In real life, she would probably be my best friend. What really makes this book stand out is that it is a romantic comedy from the male perspective. It was really funny and there was no insta-love. It made me want to read other YA romance books from the male point of view because it is something we don’t see very often. This is one of the best books i have read all year and i am giving it to all of my friends to read. If you love a good young adult romantic comedy, anything nerdy, or just a great coming of age story with wonderful characters and a plot you can connect to, read this book! For every child who’s ever dreamed of being in the Guinness Book of World Records comes the story of eleven-year-old Arthur Whipple and his fantastic family of world record breakers . . . These are just three of the 49,521 records won by Arthur’s twelve brothers and sisters. Unfortunately, unlike his siblings, Arthur hasn’t broken a single, solitary world record! But when the Whipples suffer a spate of catastrophes and a curious amount of attention from a pair of irregularly sized and unusually menacing clowns, Arthur might be the only one who can save his family from losing their collective crown . . . or worse. I know when I was a kid, I was fascinated with world records. I never wanted to have one, but it was so cool that all of these records existed. All of my friends had at least one world record book and reading it was a lot of fun! In this debut novel, Matthew Ward has taken this excitement of world records and brought it to a whole new level! In this world, there are hundreds of thousands of records and the people who break them are actual celebrities. At the end of the book, there is a listing of just some of the records held. I actually read through some of those first and the creativity found in those descriptions is what made me know I had to read this book! Not only is it fun and creative, but the mystery and sleuthing in the story is great. Arthur makes a great detective and it never feels like clues come out of nowhere or that anything is hidden from the reader to make for a dramatic ending. It is also great that he cannot do it alone, in fact, he teams up with the odd-ball member of the Whipple’s rival family. Arthur is great, but Ruby is actually my favorite character because she doesn’t care that she is different, in fact, she embraces it. It did not seem that she was under the same pressure as Arthur though, so that was a big factor in her personality. My only issue is that it is the first book in a series and it isn’t a complete story, it really is just the first part. That said, it is still a great middle grade novel that will spark the imagination and fascination of all readers. Sorry it has been so quiet – life has been really busy and I have been reading for the spring for work already. So the good news is there are a lot of reviews set up for the fall and winter! I have been reading so much for work that reading for fun doesn’t seem so fun :(. But we did go on a much needed vacation a couple weeks ago and I read some books then and those reviews will be coming soonish. I hope.If you want to see what I have been reading, head over to my librarything and look at my tag “Read 2013”. In a random thought – I have seen a couple YA cancer books coming in the spring. I really hope this isn’t a trend thanks to John Green’s success, but I think it might be. Look, his book wasn’t successful because it was about cancer, it was successful because it was just a great book. The two coming I have read so far are nothing like his book and nowhere near as good. I actually didn’t like them much and have written semi-negative reviews. Let’s just hope it doesn’t become a trend because reading books about kids with cancer is depressing. There is one thing I need your help with. I am trying to not read YA or middle grade at home. I have a few fantasy/sci fi books I really want to read (The Map of Time, The Name of the Wind, The Passage) , but jumping into epic fantasy right now isn’t so appealing. Do you have any suggestions of great adult books? Let me know in the comments. I desperately want to get out of this not-reading-at-home slump!